Emmeline J. Ochiai, MPH, is a public health advisor at the US Department of Health and Human Services, Offi ce of the Secretary, Offi ce of Disease Prevention and Health Promotion and represents Healthy People 2010 on the National Forum Coordinating Board. She is also a Federal Liaison to the National Forum for Heart Disease and Stroke Prevention. Ochiai is currently lead staff for managing the Secretary’s Advisory Committee on National Health Promotion and Disease Prevention Objectives for 2020, a federal advisory committee that is advising the Secretary on the development of Healthy People 2020. During her tenure at HHS, she led the production of the Healthy People 2010 Midcourse Review, an assessment of progress and disparities for the Nation’s 467 disease prevention and health promotion objectives, and was the lead for public-private partnerships to implement Healthy People 2010. 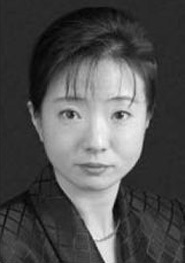 Ochiai received her training from Harvard University and Bryn Mawr College.